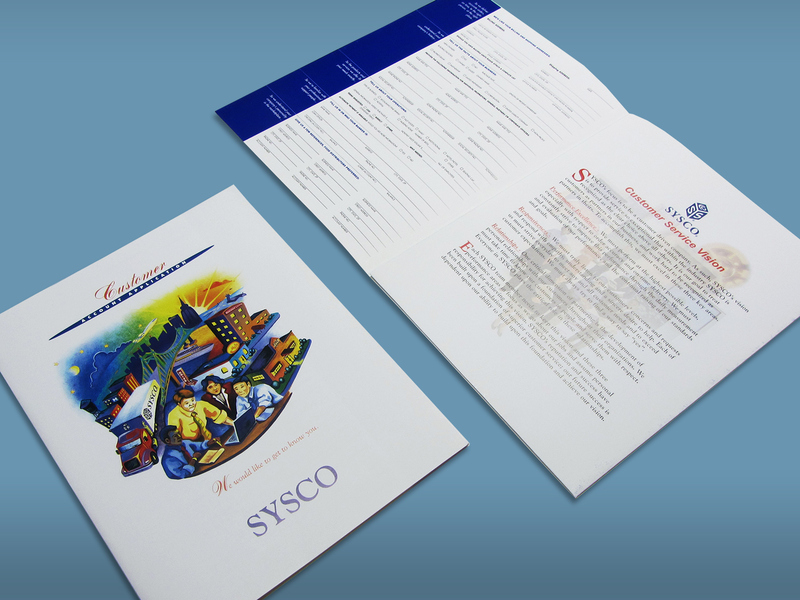 Sysco, the powerhouse of the food industry, found themselves in need of a presentation folder to package their ideas for meetings.  They needed an illustrated image which they envisioned would capture their market. 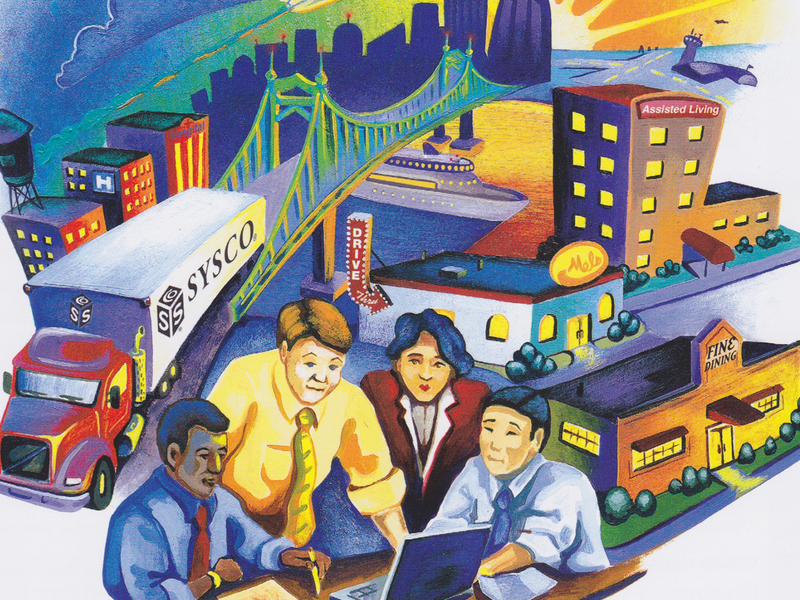 We developed the image that made the intangible tangible; through use of pencil illustration and acrylic paints. 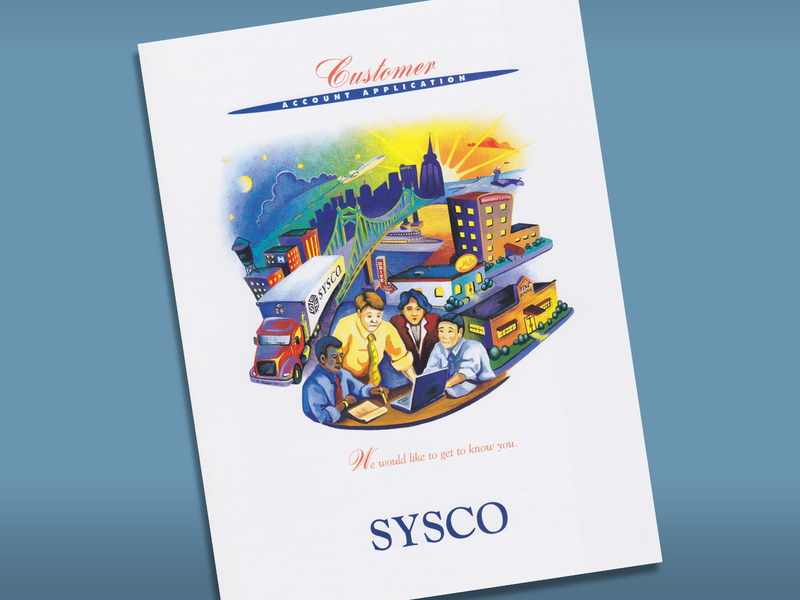 It was later digitally scanned for offset printing for the covers on Sysco presentation folders.